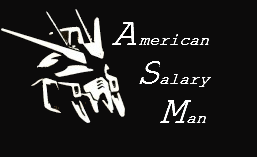 Welcome to an American Salaryman in Tokyo Osaka! I’m your host, Rob (also known as ASM), a country boy from Oklahoma who has found himself on the other side of the world. The story starts simple enough, I had an interest in foreign cultures as a kid, that lead me to learn German (it helped being a military brat and living in Germany for a few years), but it was a healthy love of games, in particular Final Fantasy, that got me into studying Japanese. Throw some mecha anime in the mix (who remembers Robotech, the bastardized version of Macross, plus alpha?) and you’ve got a fan boy in the making. Opportunities arose in college that allowed me to come over to Japan, first for a 2 week trip to the Kansai region to visit Kyoto and Osaka, followed by a home stay in Gifu prefecture during one winter vacation, culminating with a full year in Osaka on exchange. At that point I was stuck on Japan, and made plans to get back here after finishing school. JET made it easy to get in, and from there I worked my way towards Tokyo, fleeing from the English teaching world, and eventually settling on the next best thing, HR. That put me behind a desk 70% of the time, but paid the bills. And before you know it, I’m an American Salaryman in Tokyo. Or at least I was for about five years. The new car smell was long gone, and I had come to accept a 1 hour commute to work, but I was still living a life that probably thousands of fanboys would kill for. Still, all things must change, and due to the lovely disaster that was the “Lehman Shock” even someone as removed as I felt the aftershocks as it rippled through the world economy. After nearly 4 years working HR, the ultimatum came down of “take a severance package now or take your chances that we’ll let you go” Long story short, I took the money and ran. From there, I consider myself extremely lucky that I managed to get a couple of job offers within a few months, and as a result I find myself now in Osaka. I’ve managed to move up in my field and snag a job at a leading company here in Japan, and life got just a little bit easier. Add in that I now work on a global scale, get to travel, and now only have a commute of 25 minutes, well, I can’t complain on how things turned out. This does mean that with a new job comes new responsibilities, and new power (oh ho ho, yeah right) so some things may be slower on the blog side. Still, I’ll continue to spread the love of things Japanese with blatant postings, so don’t worry! That’s all I can think of for the time being, but feel free to ask questions. Very cool ! But tell me how’s the work schedule ? I hear things have been changing over there . oh yeah! started with Robotech for me as well. Also Voltron and Getta Robo/Starvengers but… those are super robots and not real ones like Gundam and Macross. Do you miss living in America? and how much do you make a year? Guest: There are of course things I miss, food, family, friends, and the usual stuff. However, my upbringing was a fairly international one as both my parents, while American, spoke other languages due to their time abroad when they were younger. Thusly, I’ve always wanted to get out and learn other languages. As for salary, you’ll have to forgive me for refraining on answering that question, but it’s probably slightly above average for someone of my age in my industry. Let’s just say I have better buying power than I did when I was in college. I was stationed in Yokosuka for three years. LOVED IT. Did you have to give up your U.S. citizenship to stay and work there? I will retire soon and my wife wouldn’t mind if I got a job in her home country.